Three garden walks that you might not have heard of before are part of the lineup of our local garden walks this summer. Two of the garden walks are listed for the first time on Gardens Buffalo Niagara (formerly the National Garden Festival), the group that organizes the garden walks, Open Gardens, bus tours and other amazing garden events. One of the new garden walks is a small walk that raising funds for a comfort care home in Attica. There will be 18 garden walks this year as part of Gardens Buffalo Niagara. 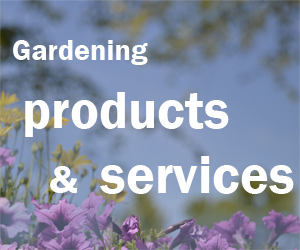 Those events include nearly 1,000 gardens! 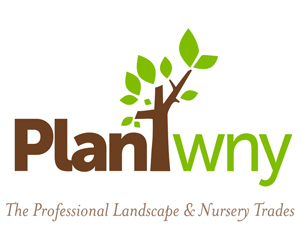 Make sure you check out the new website for Gardens Buffalo Niagara. It’s beautifully designed and makes it easy to find the information you need. Gardeners will have a chance to be inspired by beautiful and unique gardens in the Jamestown area on the 12th annual Audubon Community Nature Center’s Secret Garden Tour. The self-guided tour will be held from 10:30 a.m. to 4:30 p.m. Saturday, July 1. The tour will feature three gardens that had been included in the past and three that are new to the tour, including a vegetable garden. The stops on the tour are located in Jamestown, Lakewood and Sinclairville. Whether you garden in feet or acres, you will take home ideas for your very own patch. Hours for this self-guided tour have been extended because several of the plots are huge. Plan to wear comfortable walking shoes. The tour will happen rain or shine. If you purchase your admission online, take the printout or on-screen version to the Community Nature Center and exchange it for your garden tour ticket. The ticket includes everything you need to locate the secret gardens: maps, the GPS address for each garden, directions and parking recommendations. Your ticket also entitles you to free admission to the Community Nature Center on the day of the tour. Tickets can be bought for $15 on the day of the event at the Community Nature Center, 1600 Riverside Rd., Jamestown. 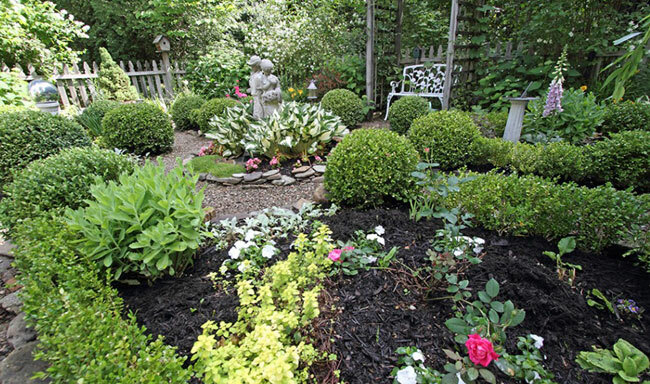 The Niagara-on-the-Lake Horticultural Society will hold its Old-town Garden Tour from 10 a.m. to 4 p.m. Saturday, July 8. This year’s gardens are located in Historic Old-town, making the tour ideal for both walkers and bikers. Tickets are $12 and are available online here. Present your printed ticket to any garden and receive your official tour brochure and wristband. You may start your tour at any garden. Get more details here, email notlhortsocietygardentour@gmail.com or phone the co-chairs Gloria Thurston at 289-868-9143 or Anne Solomatenko at 905-468-8714. A garden tour & garden party will be held from 11:30 a.m. to 4 p.m. Sunday, July 16 to benefit Gateway Home, a comfort care facility in Attica. A home is being renovated to be used to care for the terminally ill at no cost. Tickets are $20 and include a box lunch and beverage. The event will include six gardens in Strykersville and Curriers. For more information or to buy tickets, contact rdomes@rochester.rr.com or 716-474-0352. You can also buy tickets at Flowers by Nature, 82 Elm St., East Aurora; The Greenery, 5579 Michigan Rd., Java Village; Five Star Bank Attica, 26 Main St., Attica; Johnson’s Nursery, 11753 Big Tree Rd., Wales Center, and Country Crossroads Florist, 700 Two Rod Rd., Marilla. Tiny gardens, tiny parade & new green projects to be featured on Williamsville Garden WalkColeus exhibit promises a rainbow of color; we are the sponsor!